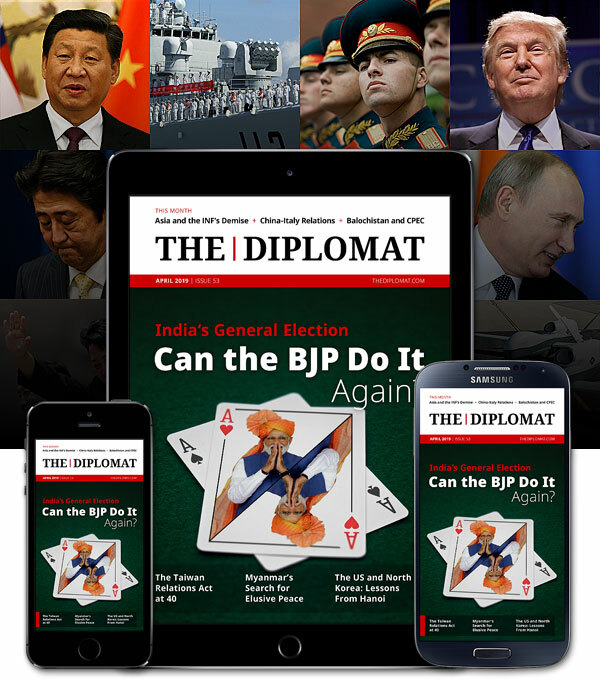 Since its launch in 2002, The Diplomat has been dedicated to quality analysis and commentary on events occurring in Asia and around the world. Now published exclusively online, the magazine reaches a highly influential audience with its in-depth treatment of regional issues. If you are interested in being added to our list or if you’d like to learn more about how to become a Recommended Site Partner with The Diplomat, get in touch with us. 38 North is a website devoted to analysis of North Korea. While it strives to break new ground, the site's main objective is to bring the best possible analysis to both seasoned North Korea watchers and general audiences alike. chinadialogue is an independent organization dedicated to promoting a common understanding of China's urgent environmental challenges. Translated stories, Chinese culture, lifestyle and other trends, what Chinese people are talking about, and the latest memes in China. China-US Focus is an online commentary platform published in English and Chinese, showcasing diverse opinions from both sides of the Pacific. China-US Focus is published by the China-United States Exchange Foundation, a non-governmental, non-profit organization based in Hong Kong. Danwei is a website about media, advertising and urban life in China that publishes translations and analysis of new developments in Chinese media and culture. The East-West Center enhances US engagement and dialogue with the Asia-Pacific region through access to the programs and expertise of the Center and policy relevant research, publications and outreach activities, including those of the US Asia-Pacific Council. GRN is the world's first ad hoc professional freelance news agency, delivering live coverage to websites and radio and TV broadcasters around the world for the past 10 years. Indian Council on Global Relations is a foreign policy think tank in Mumbai, established to engage India’s leading corporations and individuals in debate and scholarship on India’s foreign policy and the nation’s role in global affairs. Gateway House is membership-based, independent, non-partisan and not-for-profit. The Institute for Defence Studies and Analyses (IDSA) is a non-partisan, autonomous body dedicated to objective research and policy relevant studies on all aspects of defence and security. An online journal published from Washington DC promoting global awareness and discussion bringing together the views of leading commentators on a range of international issues. The Mercator Institute for China Studies (MERICS) is a Berlin-based institute for contemporary and practical research into China that Stiftung Mercator set up as a platform for engagement with China in Germany. MERICS provides timely information and analysis on China to political and economic decision-makers as well as the media and the general public. Oilprice.com is the leading oil & energy news site in the world. Our coverage extends across all energy sectors from oil & gas to wind and hydro. The Party Watch Initiative strives to provide the China-watching community with insights into Chinese Communist Party (CCP) regime activities and viewpoints. The Initiative specializes in original analysis of regime-controlled Chinese language publications to promote better understanding of Chinese domestic and foreign affairs. Its signature products include weekly, quarterly, and annual reports that track developments from the lens of Party institutions. Additionally, bimonthly feature articles offer timely analysis on topics of current interest. The Initiative is supported by the Project 2049 Institute, which seeks to guide decision makers toward a more secure Asia by the century's mid-point. RealClearWorld is a catch-all source for global news and commentary. Every day the RealClearWorld team finds and selects the best international news, opinions and analyses from English-language publications in over 50 countries and all six continents. The Atlantic Sentinel is a news and commentary website formed in 2009 dedicated to providing intelligent and intellectual perspectives on civil liberties and foreign policy. The China Africa Project is a multimedia resource dedicated to exploring every aspect of China's growing engagement with Africa, through a combination of original content and curation of third-party material from across the Internet. The Foreign Policy Centre is the UK's most prominent progressive foreign affairs think tank. Founded in 1998, its mission is to develop innovative practical solutions to global problems through research, publications and events. The source for monitoring + analysis of critical events shaping the emerging strategic triangle of Indo-Pacific Asia. The Lowy Institute's blog, The Interpreter, brings you daily analysis of world events from an Australian perspective. Trans-Asia Inc. is an innovative translation company, based in Tokyo. It offers technical and business translation, an online translation service, and website localization. It is the owner ofThe Diplomat. VIF is an independent, non-partisan institution based in India that promotes quality research and in-depth study. It aims to be a platform for dialogue and conflict resolution and to bring together the best minds in India to discuss key domestic and international issues.